Sundays can be a bit of a mixed bag really. They can be slow and without purpose. They can be full of dread for the week ahead. They can be a day of dashed hope ~ you plan for brunch in the garden and it turns out to be cold and wet as it is here in the ‘burbs today (many degrees below the July norm). They can also be a day of resolution, particularly when it comes to fitness, health, dieting and wellbeing. 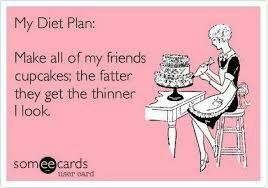 All diets start on a Monday – every woman knows that and those decisions for a NEW YOU tend to be formulated on a Sunday. You resolve to change your attitude to all sorts of things on a Sunday – how tidy you keep the kitchen, cooking pancakes from scratch instead of buying them pre-packaged, building a new veg patch in a sunny bit of the garden. But surely more than anything else, losing weight. ………. cannot get fat without eating too much . Metabolism is a bit of a red herring in her view and energy intake is KEY: she says that ultimately, obesity is about food intake. Other factors (physical exercise, metabolism etc.) play a relatively small role. 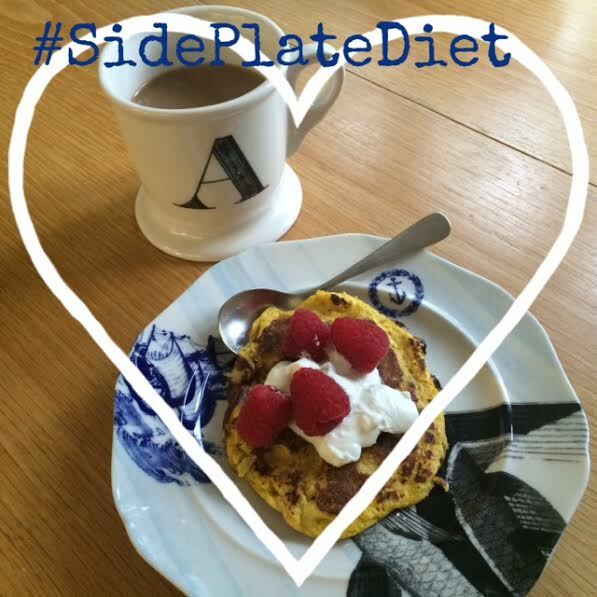 If you are thinking about your weight, diet and health this Sunday I urge you to have a look at my previous posts on the side plate diet (see the Search Buzz Subjects bar on the right) and follow my instagram posts (Annie Bee on instagram ) which will help to show how easy it is to follow. 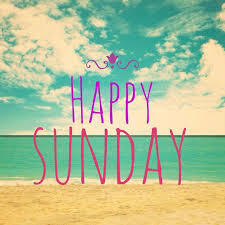 Hope you are having a pleasant and fruitful Sunday. I was listening last week to Clare Balding on R4’s Woman’s Hour chatting about the Oxford and Cambridge Women’s Boat Race. This year it took place on the Thames for the first time ever, and occurred on the same day (Saturday 11th April) as the men’s. 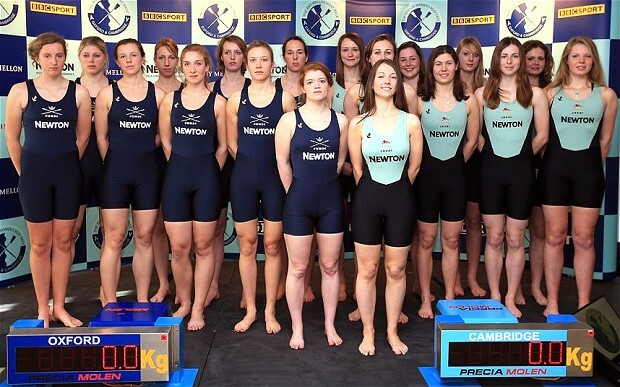 What interested me was that Clare Balding had been along to the weigh-in and was pointing out that while the rowers are all quite small women, they do weigh a fair amount. They are small, lean and full of muscle. This reminded me of a diet and fitness statement one often hears bandied about: a pound of muscle weighs more than a pound of fat. Well, no. 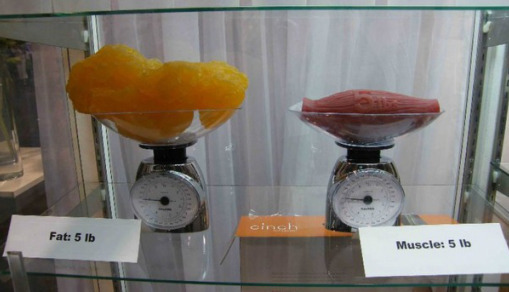 They weigh the same. But the point (which is correct) is that muscle is about 18% more dense than fat and one pound of muscle occupies less space (volume) than one pound of fat. These pictures illustrate the point. 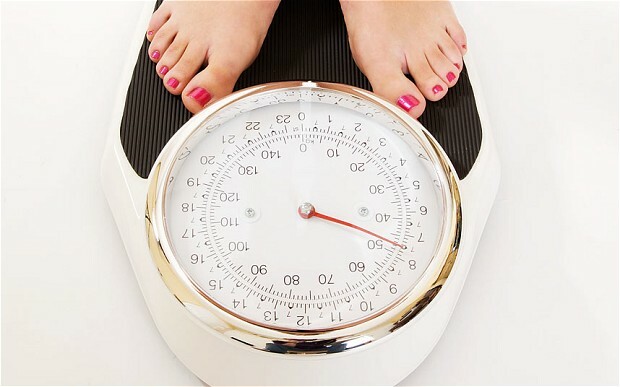 Some people weigh themselves every day, and there is research to show that they do in fact lose the most weight. The research was published in 2014 in the online publication PLOS One (you can access it here http://journals.plos.org/plosone/article?id=10.1371/journal.pone.0113164). Although a relatively small number of people took part (40) there are two or three other studies which show much the same thing. I NEVER weigh myself. I did get super slim aged about 20 and enjoyed jumping on scales as often as possible, but the more I weigh, the less happy I am to know the truth. When I am forced onto the scales (perhaps at the hospital or by the GP), thankfully very rarely, I look off into the middle distance with a thoughtful, intelligent look in my eye and pray I am not going to get a lecture from the health professional. Often it is in kgs anyway, which is complete gobbledy-gook to me. I have lost weight recently (see posts on the Side Plate Diet) but am still going nowhere near the scales. For me it is all about how I feel, how I look, and how my clothes are fitting. Also how much muscle I have – the aim is to be lean and fit. Bring it on. 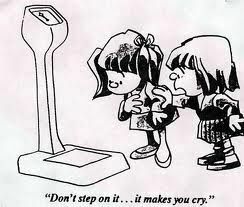 Let me know if you weigh yourself, how often, and whether it is motivating – does it make or break your day? Do you calculate your BMI? Or do you have your body fat percentage measured? 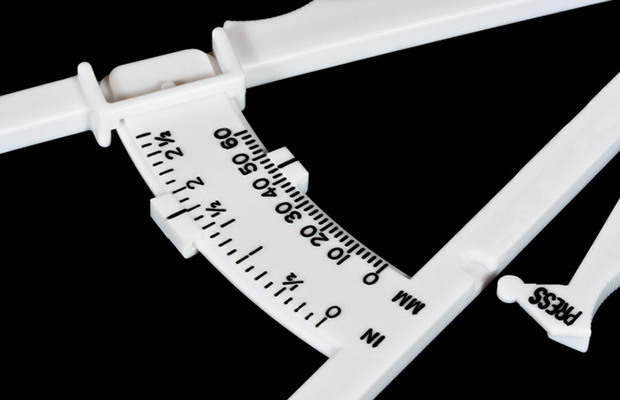 I am not sure I am brave enough to face those body fat calipers just yet, but you never know. Put your hand up if you have been on a successful diet and NOT put at least some of the weight back on? Put your hand up if you put it all back on and then some. Are you confused about the very latest thing we are all supposed to be giving up? (Sugar seems to be the most recent baddy, but it is sometimes hard to keep up). Studies show that between 50% and 80% of dieters will put all their lost weight back on and some may well find they are heavier than they were when they first started the diet. How incredibly depressing. In April 2007, UCLA research in American Psychologist, (the journal of the American Psychological Association) concluded that, “you can initially lose 5 to 10 percent of your weight on any number of diets, but then the weight comes back”. Traci Mann, UCLA Associate Professor of Psychology and lead author of the study, conducted the most comprehensive and rigorous analysis of diet studies by analysing 31 long-term pieces of research. So where does that leave us? Depressed? Unmotivated? Confused? Turning to the nearest donut? Diets are a very personal choice – there is probably one to suit everybody’s preferences and lifestyles. For some people, five small meals per day works best; the 5:2 diet (fasting for 2 days of every 7) suits others. Some enjoy counting calories, others hate it. What seems indisputable is we have to conquer how to make them work in the long run. 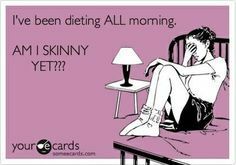 Many dieters relax after initial weight loss and then the diet slips. Or results are too slow and people become unmotivated. We all feel better at an optimum weight so we need to remind ourselves of that: it is easier to move around, easier to run for the bus, our joints don’t suffer, we feel more attractive and (perhaps counter-intuitively) we seem to have more energy. So where do we find this extra motivation? Sadly I don’t have the magic answer – I wish I did. There is a book called ‘Mindless Eating’ by Brian Wansink which has some interesting information on the psychology of overeating and how we make decisions about the food we eat. He has done some research into the correlation between the size of bowl/plate and the amount of food people subsequently help themselves to. 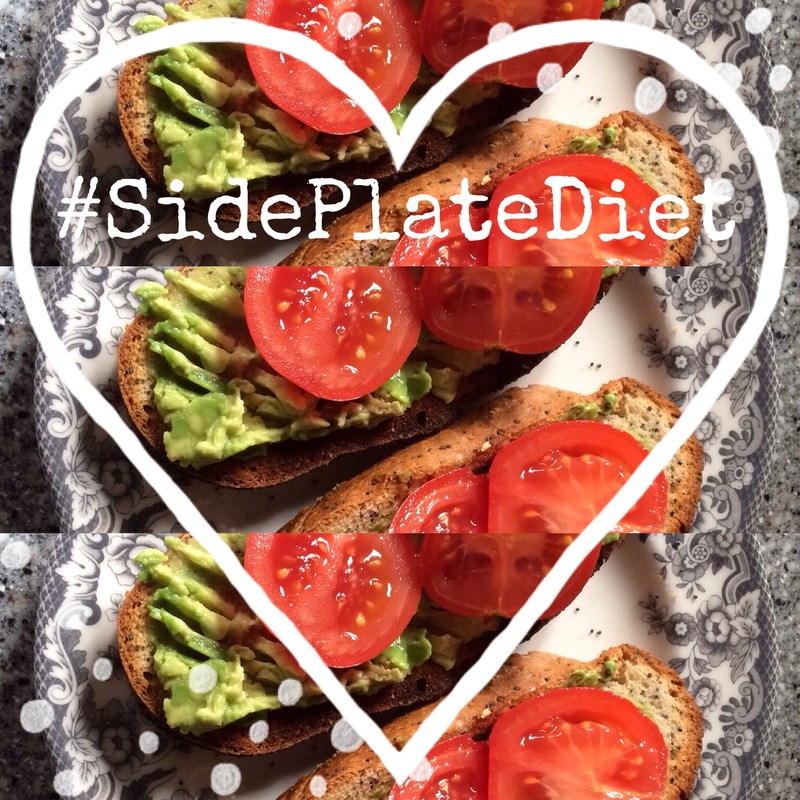 If you have read my previous blogs on the Side Plate Diet you will know that I am a convert to eating off three (occasionally four) 7 inch plates a day. It works for me, but I realise it won’t suit everyone. If you missed the pieces, use these links below and I would love to hear from you.